I-League CEO says he has "seen the tweets" but that there has not been any official communication from Minerva Punjab yet. Compounding the confusion surrounding Indian football's present domestic structure, Minerva Punjab owner Ranjit Bajaj on Friday announced in a series of tweets that the 2017/18 I-League champions will be closed. The reason for this decision was denial of permission to host the team's home matches of the AFC Cup in Bhubaneswar, Bajaj said. Accusing the All India Football Federation (AIFF) and its marketing partners of being responsible for forcing Minerva Punjab to shut down, Bajaj said AIFF is trying to "kill all football." 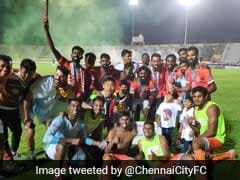 Minerva Punjab were supposed to play their AFC Cup fixtures at the Kalinga Stadium in Odisha, having qualified for the continental tournament on the basis of being champions of the I-League last season. 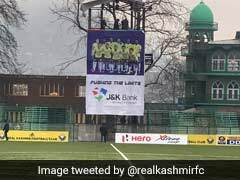 However, their permission to host matches at the stadium were cancelled, allegedly at the last minute, owing to planned renovations to the stadium. Holding the AIFF and its marketing partners responsible for the sudden withdrawal of permission by the Odisha Sports Authority, Bajaj said he had no option but to shut down the club. "With a heavy heart today I have decided that @minervapunjabfc will have to do what so many others have done/champions of @leagueofficial for 2018-19 for seniors/under 13/under 15/under 18 - six titles (4 years) 60 plus boys to various Indian teams is going to shut," Bajaj said in one of the tweets. He was, however, not available for comment. 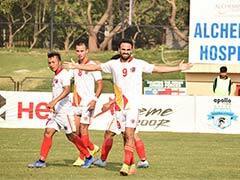 Bajaj claimed the permission to host matches in Bhubaneswar was denied at the insistence of the AIFF and its marketing partners since his club was at loggerheads with the authorities. "After being champions playing in the @AFCCup was our right @minervapunjabfc but came to know who that it's AIFF and (FSDL) who has got our permission cancelled - ODISHA sports dept is saying talk to them - I am shattered that my own parent body is sabotaging our AFC stadium." "Sadly it is crystal clear that instead of trying to promote football in INDIA/AIFF along with FSDL Reliance is trying to kill all football which they can't own/this low blow of getting Odisha govt to cancel the stadium booking after @AFC Cup has started is shameful," said other tweets from Bajaj. 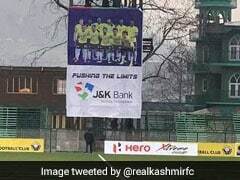 Minerva Punjab, despite their impressive on-field showing in the last couple of years, are involved in running battles with the federation on several issues. Recently, the Punjab side, were part of the seven I-League clubs who boycotted the Super Cup demanding a meeting with AIFF president Praful Patel to discuss the future roadmap of Indian football. Speaking to IANS, I-League CEO Sunando Dhar said his department was yet to hear anything from Minerva Punjab. "We have seen the tweets, but they have not written to us officially," he said. 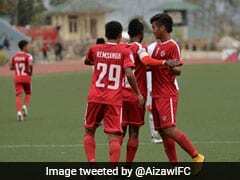 Minerva Punjab have accused AIFF of "killing all football"